If you are in NYC next week I invite you to please stop by the Art on Paper Art Fair at Pier 36. I will have a selection of new drawings available through K. Imperial Fine Art in booth 506. The Art Fair runs from March 3 – 6th. Art on Paper will be open all weekend at downtown Manhattan’s Pier 36 featuring 75 galleries from around the world presenting special exhibitions of paper-based art. The fair’s second edition launched Thursday evening to a night of record attendance, and the buzz has continued as more discover the unique, highly focused exhibitions of incredible quality that have quickly shaped Art on Paper into a The New York Times“Where to go Now” destination. Please join me this Friday for a panel discussion on art and technology at the Monterey Museum. I will be in conversation with Amy Ellingson and Cathy Kimball. Technology in art is as old as art itself. Michelangelo used mathematics to create the ceiling frescos in the Sistine Chapel. Johannes Vermeer used mirrors and light reflection to create his photo-realistic interior scenes. During this panel discussion, regional artists who use more contemporary technology in their work, or address its ubiquity in society, will discuss their work with Cathy Kimball, Executive Director and Chief Curator of the San Jose Institute of Contemporary Art. One of our panel participants will be San Francisco painter Amy Ellingson, who uses digital rendering to create geometric patterns, which she then paints with oils and encaustics. Ellingson’s work is represented in the Monterey Museum of Art’s permanent collection. Her public commission, Untitled (Large Variation), is an 1100 square foot ceramic mosaic mural. It is a permanent installation, on view at the San Francisco International Airport. Also joining the panel is Peter Foucault. Foucault creates works on paper, videos, and installations that are fueled by his love of drawing and mark making. He has created a series of Drawing-Projects, which utilize systems developed by the artist that produce complex abstract compositions. 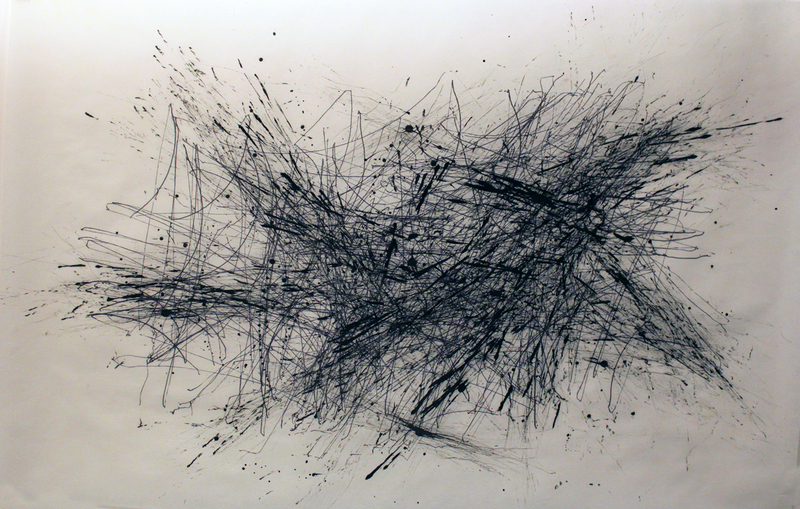 Viewer interactivity plays an integral part in his drawing installations, large-scale artworks in which participants influence the outcome of a drawing that is created by a small robot. His work has been shown at the Getty Museum, Oakland Museum of California, Yerba Buena Center for the Arts, Smithsonian Institutes’ Freer and Sackler Gallery, and the Torrance Museum of Art. 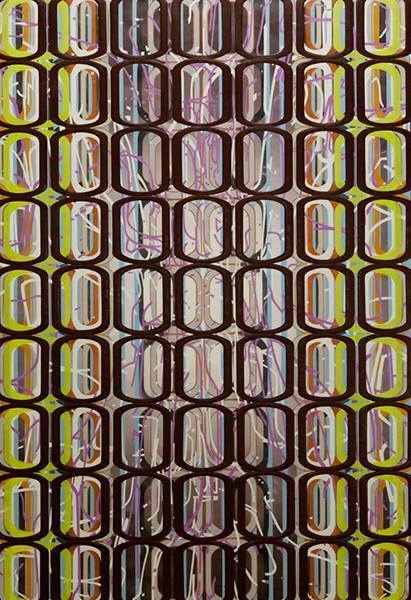 Image: Amy Ellingson, Identical/Variation (Erratic Pink and White), 2008, Oil and encaustic on panel. Gift of Barbara and William Hyland, 2013.017.